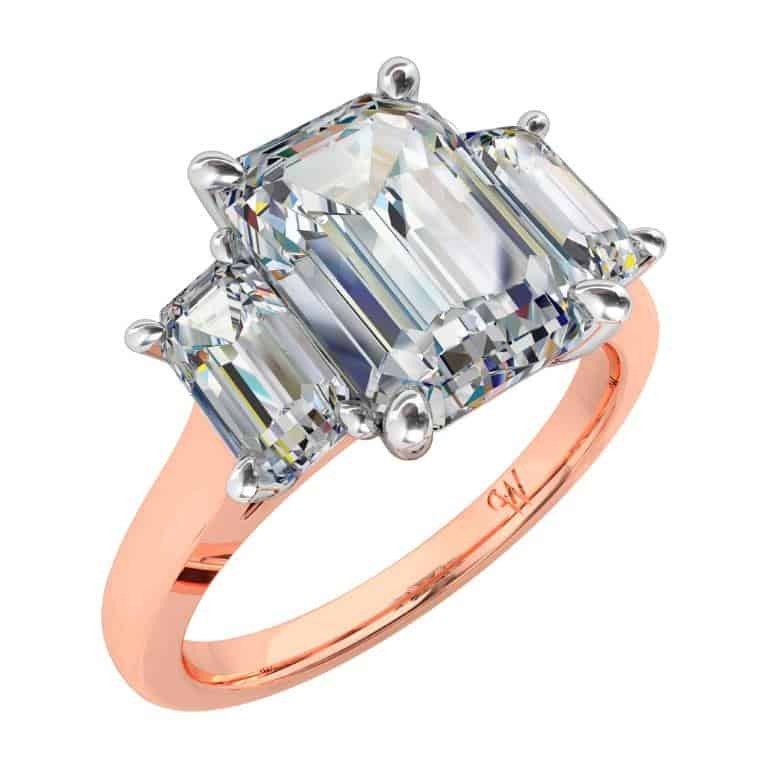 18ct Gold, Three Emerald Cut Diamonds, each set in a 4 claw setting, on an upswept band. This ring can be custom made starting with a 0.50ct centre diamond. Ring shown features a 2.00ct centre diamond.